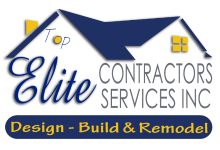 ARLINGTON, Va., October 27, 2017	(Newswire.com) - Elite Contractor Services, a family-owned and run home remodeling contractor for over 25 years is proud to announce a new webpage. Residents of Arlington, Virginia searching for home improvements may need specialized support. Living and working near the Washington DC area could inspire a certain style for a home remodel. An informational page specific to the area can support projects from a bathroom addition to a custom home build. "Life in Arlington means you are surrounded by American history," explained Ana Blanco, marketing manager for Elite Contractor Services. "We think about this when planning a home remodel for a client. Even if they have modern design ideas and top quality, they may also want a nod to tradition. The new informational page for Arlington, Virginia residents was created to support this." To read Elite Contractors new informational page for Arlington, Virginia, please visit; http://elitecontractorservices.com/services-areas/arlington-va. Details regarding home remodeling contractor services including kitchen upgrades, home additions and finished basements can be reviewed. The new page is in tandem with a previous announcement focused on Vienna, Virginia, at http://elitecontractorservices.com/services-areas/vienna-va.
Timeless style and American ingenuity could be part of the culture for cities like Arlington, Virginia. If a homeowner in the region has decided to finally begin a home improvement project, expectations could be specific. A customized kitchen in a historic farmhouse or a new condominium may require the newest in technology mixed with a nod to the past. Choosing a distinctive look for modern cabinets, a sink and countertops could be part of the process. Searching for a top home remodeling contractor can include finding a local Virginian knowledgeable of the specific vision an Arlington homeowner may have. Elite Contractor Services has recently announced a new informational page specifically for residents of Arlington, Virginia. The new page offers regional-centric support for home remodeling projects. Custom home building projects can include a mix of modern and traditional as desired by the homeowner. If a local is dreaming of a high-tech game room inside a brick colonial, it can be designed to fit the classical style. If a homeowner has a plan to add an elegant Virginian look to a new master bathroom, answers can be found. Locals dedicated to combining traditional home aesthetics with high- quality, present-day conveniences can find a source of support. A top home remodeling contractor in Arlington, Virginia has announced an informational website for distinctive tastes. 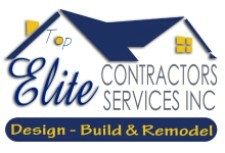 Elite Contractor Services (http://elitecontractorservices.com) is a family owned home remodeling company serving cities as diverse as Vienna and Alexandria, Virginia, Washington, DC and Bethesda, Maryland as well as Falls Church home remodeling contractor services. Persons looking for a top remodeling contractor for a home remodel or kitchen remodel, can reach out for a no- obligation consultation. The company consists of expert contractors for kitchen remodels, home remodels or additions, and even specific jobs such as basement remodels or attic additions. The company aims to be one of the best, top-rated remodeling companies and remodeling contractors in communities as diverse as Arlington or Fairfax, Herndon, Alexandria or Washington DC or up to Vienna, Fairfax County or even Rockville, Maryland.